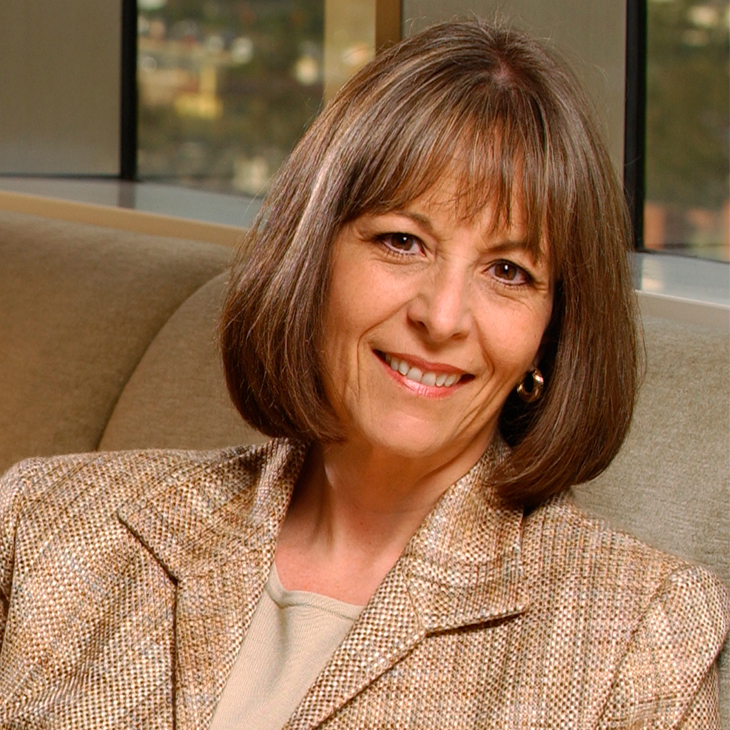 Doreen Shenfeld represents hospitals, medical staffs, medical groups and healthcare systems at all levels in the peer review process, from the initial stages of advising clients in connection with all aspects of the credentialing process, through the preparation for and representation at internal administrative hearings, as well as any court challenges to credentialing decisions. Doreen's 20 years of experience in complex business litigation, including multiple cases in which she successfully defended peer review damages actions filed against hospitals, medical staffs and individual physicians, bring a unique perspective and ability to guide clients through the process in a way that minimizes the risk of litigation. Doreen has been a regular guest lecturer for USC's Masters Program in Health Care Administration on the subject of medical staff legal issues, and has taught Continuing Medical Education seminars and given Continuing Legal Education lectures on a variety of medical staff-related subjects. As of June 2016, Doreen joins Loyola University Chicago as a part-time faculty member in the Masters of Law in Health Law and Master of Jurisprudence in Health Law programs. Prior to joining Manatt, Doreen was a senior litigation attorney at several midsize Los Angeles firms, defending hospitals in a wide range of complex commercial, contract, medical staff, unfair competition and employment matters. Cary Shakespeare, M.D. et al v. Adventist Health System/West, (Placer Cty Sup. Ct.) (2018) (complete defense verdict for hospital system following trial of physician whistle-blower claims). Colonial Medical Group v. Dignity Health, 2017 WL 2178831 (1st Dist. 2017) (affirming dismissal of writ of mandate by medical group challenging hospital’s exclusive services contract to treat prison inmates of Central California prisons as an illegal kickback arrangement). Ryan Kime, M.D. v. Adventist Health Clearlake Hospital et al, 2017 WL 2224835 (N.D. Cal. 2017) (obtained dismissal with prejudice of EMTALA claims against hospital). Colonial Medical Group, Inc. v. Dignity Health et al. (San Fran Sup. Ct. 2015) (tried and won defense of action claiming that exclusive coverage contract for provision of emergency hospital services to prisoners violated antitrust and anti-kickback laws and denied the plaintiff medical group fair procedure). El-Attar v. Hollywood Presbyterian Medical Center, 56 Cal. 4th 976 (2013) (Member of appellate team that argued and won for two amici hospital system clients Supreme Court decision upholding the termination of the physician's medical staff membership and privileges. The Court adopted our amici clients' argument that minor violations of medical staff bylaws regarding selection of the peer review hearing panel and hearing officer were insufficient to overturn the hospital's decision to terminate the physician based on substantial evidence of the physician's substandard patient care). Colonial Medical Group v. Catholic Healthcare West, et al. (N.D. Cal. May 2010) affirmed (9th Cir. 2011) (dismissal of medical group's antitrust claims challenging hospital client's exclusive services contract for services to prison inmates of Central California prisons). Bruce Ellison, M.D. v. Sequoia Health Services, 183 Cal. App. 4th 1486 (1st Dist. 2010) (Upholding hospital client’s termination of a physician for dishonesty in reporting his professional training and qualifications). Pourzia v. St. Mary Medical Center, Catholic Healthcare West, et al., 2009 WL 1842664 (2d. Dist. 2009) (unpublished) (affirmed judgment for client hospital, dismissing physician’s petition for writ of mandate challenging summary suspension and termination of medical staff membership and privileges). Blau v. Northridge Hospital Medical Center, No. A111845, 2007 WL 2381407 (1st Dist. Aug. 22, 2007) (upholding dismissal of damages action for hospital's exclusion of disruptive physician). Kibler v. Northern Inyo County Local Hospital District, 39 Cal. 4th 192 (2006) (amicus curiae) (first impression California Supreme Court ruling, applying California’s anti-SLAPP statute to private hospital peer review as an “official proceedings authorized by law”). CMC Medical Plaza Partners Ltd. v. Catholic Healthcare West, No. B177173, 2006 WL 45874 (2d Dist. Jan. 10, 2006) (affirming the dismissal, on demurrer, of an action claiming breaches of contract and fiduciary duty against client hospital, for allowing construction of an affordable low-income housing project located near the hospital and the offices of the plaintiff, a physician limited partnership, and awarding the client's prevailing party attorneys fees). Blau v. Catholic Healthcare West, et al., No. B157516, 2003 WL 550307 (2d Dist. Feb. 27, 2003) (affirming dismissal of damages action by terminated physician against client hospital, based upon the physician’s failure to exhaust administrative remedies). Sabety v. Pomona Valley Hosp. Medical Center, Inc., No. B141803, 2001 WL 1646610 (2d Dist., Dec. 20, 2001) (affirming grant of summary judgment and dismissal of damages action alleging wrongful peer review action). Bressman v. Pomona Valley Hosp. Medical Center, Nos. B141793, BS033134, 2001 WL 1194961 (2d Dist. Oct. 10, 2001) (affirming denial of mandamus petition seeking to reverse revocation of medical staff privileges on grounds of unfair procedure and bias). Hongsathavij v. Queen of Angels/Hollywood Presbyterian Medical Center, 62 Cal. App. 4th 1123 (1998) (trial counsel) (affirming final administrative decision of hospital excluding physician who abandoned indigent patient). Pomona Valley Hospital Medical Center v. Superior Court, 55 Cal. App. 4th 93 (1997) (granting writ and ordering trial court to deny motion to depose medical staff president who was involved in suspension of physician’s staff privileges as irrelevant to issue of bias in connection with ensuing administrative hearing). Huang v. Board of Directors, (B098071, Sept. 10, 1996) (affirming dismissal of damages action filed by Dr. Huang following successful reversal of peer review action). Chavis v. St. Francis Medical Center, (B092282) (affirming dismissal of damages action for alleged wrongful summary suspension of privileges). DeVaughn Peace, M.D., Inc. v. St. Francis Medical Center, 28 Cal. App. 4th 454 (1994) (affirming granting of nonsuit following trial of damages action alleging wrongful restriction of staff privileges). Many older Americans have insufficient income and assets to protect them through retirement.